Antonio Paterno, 99, of Pawcatuck, CT passed away Monday morning, July 30, 2018 peacefully at the Westerly Hospital surrounded by his loving family. Mr. Paterno was born in Bisignano, Italy on March 22, 1919, the son of the late Pietro and Concetta (Barbiera) Paterno. He is survived by his wife of 65 years, Lucia (Vocaturo) Paterno of Pawcatuck, CT; his daughter Maria and son-in-law Luigi Fusaro and granddaughter Sabrina (William) Morrison and great grandchildren Mikala, Lucas and Emma of Pawcatuck, CT; his daughter Julia P. Walsh and son-in-law Michael of Naples, FL and grandchildren Stefanie (David) Good of Marshfield, MA, Christopher of Boston, MA and David of Los Angeles, CA; his daughter Rose Sorensen and son-in-law Kenneth Sorensen and grandchildren Jonathan (Sharelle) Sorensen and great grandson Jalen of Westerly, RI and Jacquelyn (Greg) Karney of Ashaway, RI; his son C. Peter Paterno and daughter-in-law Maria and grandchildren Christopher and Gabriella of Westerly, RI; and daughter Gina Fiore and grandchildren Michael, Nicholas and Thomas of Westerly, RI. He was predeceased by his beloved son, Franco; and his brothers and sisters Frank, Angelo, Umile, Vincenzo, Giuseppina, Sarafina, Christina, Carmela, Giovanni, Luisa, Maria, Nunziata; and Giuseppe. Mr. Paterno bravely served in World War II for the Royal Italian Army and survived a brutal winter on the banks of the Volga River during the Battle of Stalingrad in 1942, the largest confrontation of the war. His strong will to live was demonstrated right up to the last moments of his life. At 42 years of age, Mr. Paterno immigrated from Bisignano, Italy to Mount Vernon, NY, alone, in order to provide a better life for his wife and six children, who later joined him in 1968. The family moved to Pawcatuck, CT in 1971. 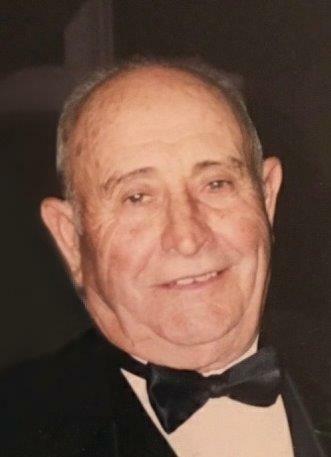 He worked in construction and landscaping and was a member of Westchester Heavy Construction Laborers Union Local 60 and Connecticut Laborers Union Local 547. He was deeply committed to his Catholic Faith and had a special devotion to the Blessed Virgin Mary through his near 40-year affiliation with The Church of St. Michael the Archangel in Pawcatuck, CT and, more recently with the Church of The Immaculate Conception in Westerly, RI. He was also a long-time active member of the Maria Assunta Society at St. Michael’s Church which led to his active participation in the local feasts honoring the Blessed Virgin Mary. Mr. Paterno’s strong devotion and dedication to his family was evident by his 65-year marriage to his beloved wife Lucia and to their six children, grandchildren and great grandchildren. His life revolved around his family and their many special gatherings such as holidays, birthdays, anniversaries, and even a simple and relaxing Sunday lunch after attending Mass. He loved cultivating his large garden and his many different fruit trees and making homemade wine. In doing so, he generously shared his wine and fresh garden produce with his family and friends. Besides providing for his family, he was always looking and willing to lend a helping hand to his friends, neighbors and even his tenants. In sum, he devoted his entire life to his faith, family and friends by always putting their needs ahead of his own. A Mass of Christian Burial will be held on Friday, August 3, 2018 at 11:00 am at Immaculate Conception Church, 111 High Street, Westerly, RI. There will be no procession from the funeral home. Burial will take place at St. Michael’s New Cemetery, Pawcatuck, CT. Calling hours will take place at Rushlow-Iacoi Funeral Home & Crematory, 64 Friendship Street, Westerly on Thursday, August 2nd from 5-8 pm. In lieu of flowers, people are welcomed to contribute to The Church of St. Michael the Archangel in Pawcatuck, CT or The Church of the Immaculate Conception in Westerly, RI or Home & Hospice Care of RI in Providence, RI.